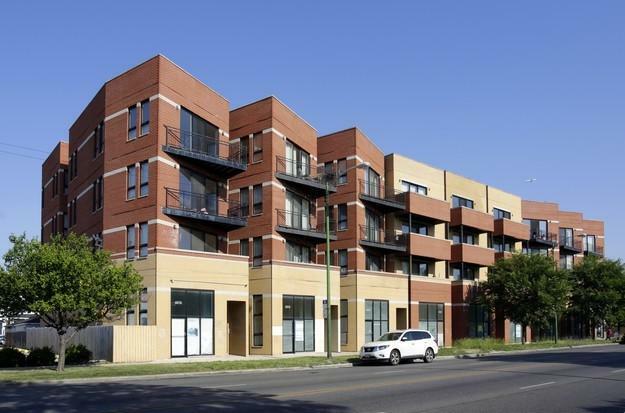 Great investment condo in Brighton Park with potential of 10%+ Cap Rate. Newer commercial retail/office condo units for sale or lease. Each unit is sold at $115,000, lease at $14 modified gross, or all 6 units for $585,000. Each unit is approximately 1450 square feet with 13' ceiling with great visibility on Western Ave. with an average of 23,000 VPD. Units will be delivered as-is. Brighton Park is bordered on the north by the former Illinois & Michigan Canal and the current Chicago Sanitary and Ship Canal, on the east by Western Avenue, on the south by 49th Street, and on the west by Central Park Ave.